The deChlorinator doses Vita-D-Chlor more accurately than any tablet unit and saves money by using the granular Vita-D-Chlor. The combination leads to lower costs after just three 55 pound pails of Vita-D-Chlor. 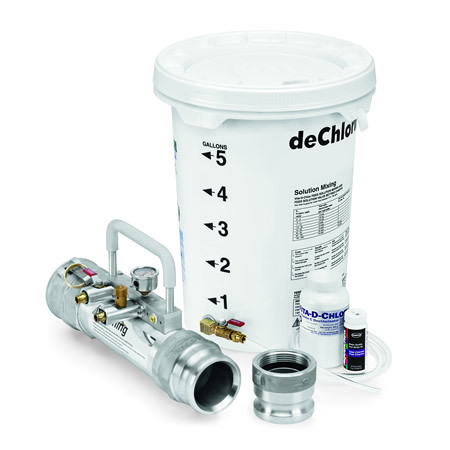 The deChlorinator can correctly dechlorinate chlorine levels up to and beyond 100 ppm. Easy to handle and solid by design, you can expect years of trouble free operation. The pail can be refilled with more Vita-D-Chlor feed solution to keep the flushing going. A needle valve allows you to adjust the feed to minimize over dechlorination and maximize efficiency. 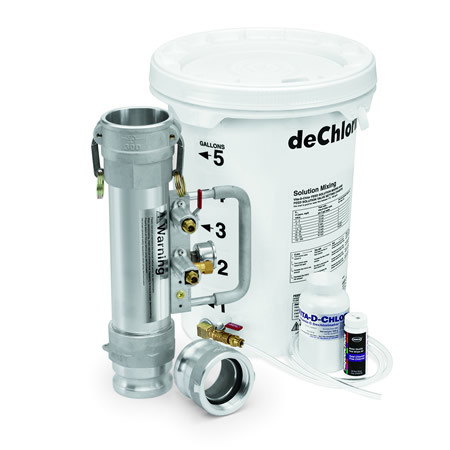 The deChlorinator comes with connections and tubing, as well as chlorine test strips and a sample of Vita-D-Chlor. The whole package conveniently packs into the pail used for your Vita-D-Chlor feed solution. 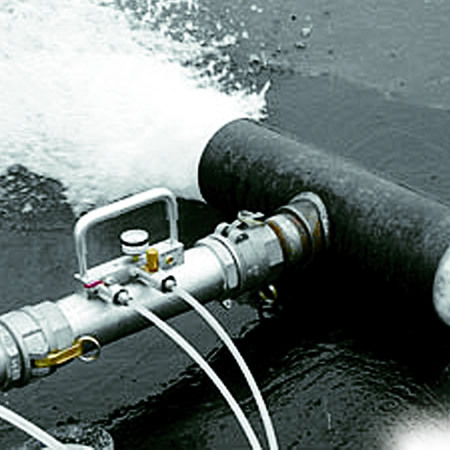 The deChlorinator is clearly the greatest value in dechlorination devices.